OK guys…try to (futilely) wrap your mind around this one. Try to hear in your head a German-born Glenn Danzig fronting Ministry while covering “Welcome to Sky Valley” era Kyuss. Good, now go sit down and have a breather. That’s a fair assessment of the heavy alchemy that is “What We Make Our Demons Do” by Linie. This group totally embodies and fulfills the term “robotic groove”. A perfect example of this is the #2 track (after the creepy spoken word computer voice intro) “Blood on your arms”. The central theme centers on an elliptical opening riff that never really goes away. It’s like watching a tsunami crossing the earth’s ocean. It pushes and ebbs. It slides and crashes. It changes this way and that but never fully goes away. 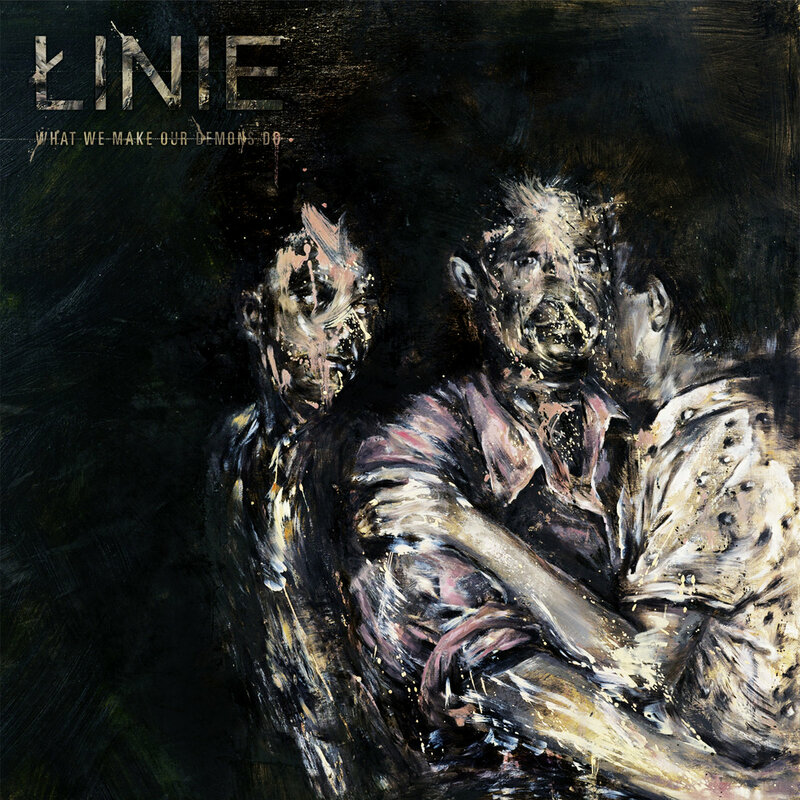 Linie have absolutely digested early krautrock pioneers like CAN as filtered through their industrial and stoner rock progeny. Josh Homme’s first couple of Queens albums examined similar themes; turning a repeated musical thought over and over again as if looking at the same object from different angles. Yeah, this can be some deep stuff, but I don’t want you to get the impression that this is somehow clinical in anyway. The point where the krautrock comparison starts to fall apart is the actual SOUND of the band. “Bearing Life” is pure catharsis. As dark ambient drones and buzzes whir through the background the lead vocals scream out from the bottom over a synthetic drum beat. The tension builds until it explodes into waves of distortion. This, in effect, is the trademark of the band. Not since Opeth has a band so successfully (and whole-heartedly committed to) manipulating dynamics. They use those repeated musical figures and electronics as a baseline to veer away from. It’s the variation that makes this such compelling music; sometimes raging, sometimes unnerving, it’s impossible not to be drawn in by this stuff.